Check out this infograph from Go-Globe.com. This is what happens when you unplug for 60 seconds. It is pretty amazing to see so much happening in such a short time. The reason I post is because not too long ago Scott McLeod (a guy I love reading) wrote a pretty cool piece about being on Twitter. You can read that post here. So take a look at the graph, read Scott’s post (and the many many comments that accompany it) and weigh in. 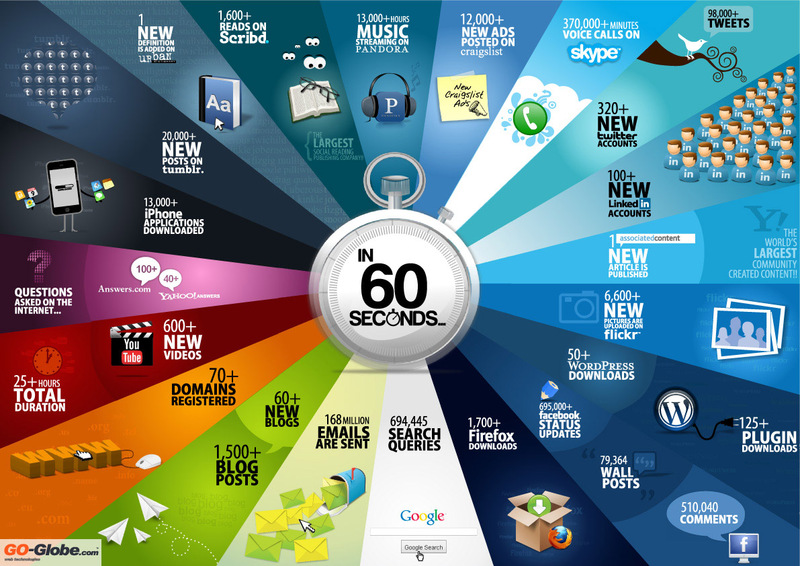 This entry was posted in entertainment and tagged contribution, infograph, one minute, social media. Bookmark the permalink.